You can make the difference in the overall heating and cooling costs of your home by getting the right air conditioner. Investing in an aircon is a huge decision primarily because it is not something that comes cheap. However, it should be a well-thought decision because the AC will determine if the home is a comfortable place to be when the weather outside is unforgiving. It is commonplace to expect an AC to run smoothly and efficiently since it is new, which at times is not the case. On the one hand, you unknowingly may buy an insufficient air conditioner but have it installed correctly. On the other hand, you may purchase the right AC but have it improperly installed. In fact, more than half of the issues with new ACs stem from wrong installation. As such, it is wise to be informed as you head out to get a new air conditioner. Here are some of the critical things you should consider. Every air conditioner is manufactured to meet EER (Energy Efficiency Ration) standards, which is around 10. As you shop around, do not buy anything that goes above 22 with the ideal choice being anything that has an EER or at least 14 with your sights set on any that offers higher efficiency. Also, ensure the AC has an Energy Star label. Energy-efficiency is a crucial element worth considering, and the AC will have high star ratings it is a very energy-efficient unit. You should figure out which kind of air conditioner you need based on the local of where it will be installed. For instance, air conditioners systems installed in the roof or ceiling are different from those install above the door or window. Also, you need to determine the size of the unit to avoid picking something that will not deliver adequate services. It should be the right size. An overly big system will only cool and heat your home quicker than expected yet struggle to reach and maintain the desired temperature. On the other hand, a small AC will be working twice as hard to ensure that it supports the desired room temperature which makes it consume more energy than it should. The size of the room or the home will determine the size and type of AC to buy. The unit should heat and cool the building or room without any problems. You check the air conditioner for a sticker that has BTU readings which you will use to confirm its cooling capacity. The AC should be in line with the BTU standards which are based on square feet to be cooled. For instance, the AC should have a capacity of 12000 BTUs per hour when heating an area of 450-500 square feet. 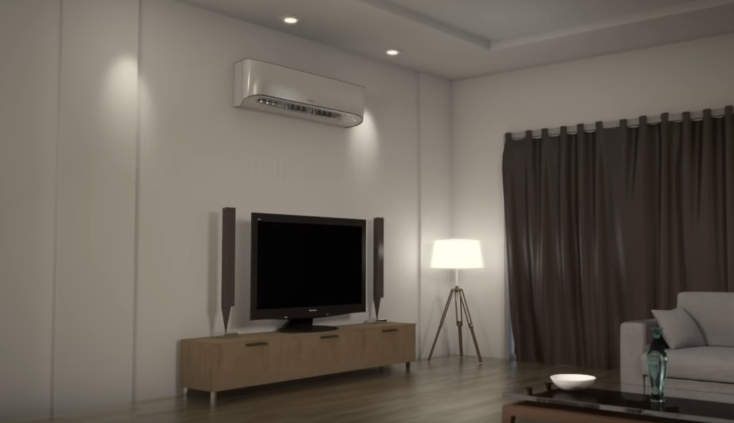 Installing an air conditioning system is not cheap; therefore, you should make sure that you get your money’s worth when you make such an investment. In short, what you get should not serve you for a few years or months before it starts having issues. The life expectancy of any AC should be no less than 15 years. The system should run without any problems for the first few years and can work more than ten years trouble free if it is serviced regularly. You should make sure that you get a manufacturer’s warranty for the air conditioner and expect the warranties to vary from one manufacturer to another. The installation requirements of the air conditioner will depend on the size of the unit and the installation location. And since manufacturers make different model some may have that have specific installation requirements, therefore, ensure that what you get will fit snuggly into the intended space at the door, window, ceiling, or wall. It is essential the installation is done at the right place that ensures an optimum delivery by the AC unit. Again, different models may require some special maintenance. However, all air conditioners have standard components, and much of how they work is the same. As such, some cleaning standards apply to all air conditioner system. The cleaning maintenances can be done in two ways. One is where you do general cleaning, and the other is done by an expert AC servicing expert who will inspect the unit for problems when cleaning it. With the above information at your fingertips, it will be easier for you to find the right energy-efficient air conditioner that will serve your home for many years without having any problems. For more, click here.